Now that all that has gone and Christmas is over how does it make you feel? What happened when family came over, or you went over to them to spend that day together, sometimes putting on that mask of happiness, that façade? 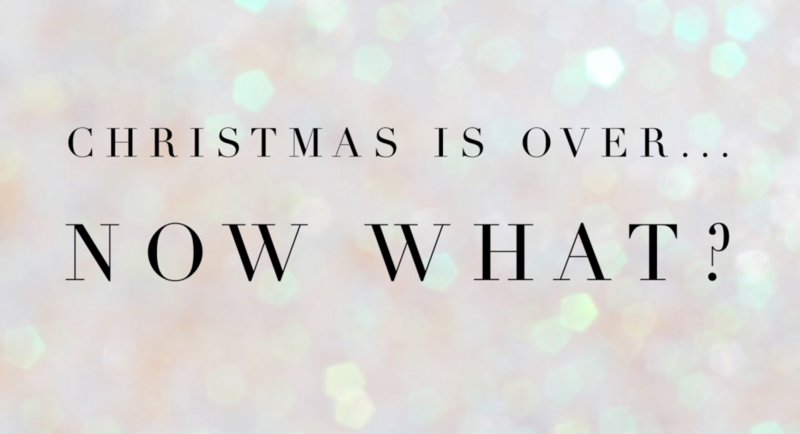 What happens now that all the presents have been opened and there is still a wants for more, but more what? If only you could put your finger on what it is. All the money has been spent, sometimes money that we didn’t really have to spend in the first place. What next? The New Year is here now but for some life still feels the same. Isn’t the New Year a time that our lives should change we sang “Auld Lang Syne” didn’t we? So why do I feel the same, why haven’t our lives changed yet? That feeling of dull emptiness refuses to leave, maybe we thought that, that most longed for present that we received at Christmas would fill that, but it didn’t. Most of us are back at work after the Christmas and New Year break and there still looms that feeling of dread, stress, anxiety, that dark cloud of depression that follows you everywhere, that you just can’t shake. It should have gone shouldn’t it? Why do I still feel stuck in the same place, maybe even feeling worse than before the whole festive season began. Maybe it’s time to look within and try to understand what is going on. Try to understand why that feeling of emptiness and sadness persists. Maybe Christmas for you wasn’t a happy time and never has been, no matter how lovely and merry it looks on the outside. No matter how hard you try to be happy and excited as everybody is, you can’t be. Whatever scenario applies to you, maybe it’s time to stop and look into yourself. It could be time to be listened too and helped to understand what is going on internally. If the New Year hasn’t quite started in the way that you had hoped and wanted, it can still change. It might seem very far away right now but starting to look into your self to understand why Christmas and the New Year doesn’t bring the promise of “happiness” and “merriness” could help to make the next Christmas and New Year different. Just maybe, the emptiness, anxiety, sadness and depression will not take over, instead, in it’s place, there will be peace or at least an understanding that we make things better. The process could start now. Why not take that first step today, make contact. Call 07981 754991 or email info@hopeclinic-lilyhouse.co.uk, bolashonubi@lilyhouse.com, info@hopec.uk. There is help here for you.